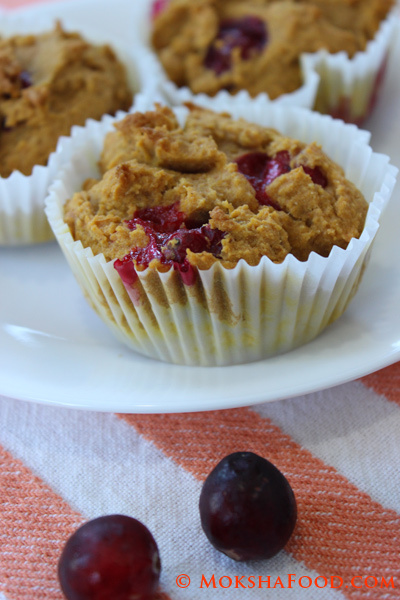 Gluten Free Vegan Pumpkin Cranberry Muffins! Pumpkins and Cranberries are two fall favorites. I found this amazing recipe and converted it to a gluten free version. 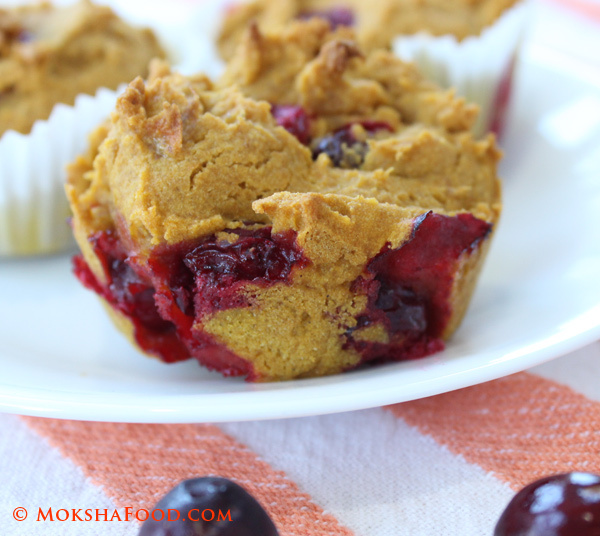 The sweetness from the pumpkin with the mild kick of spices and the tartness from the burst open cranberries made a very interesting flavor profile.The complex flavors blended so well to create a muffin, healthy and tasty enough to be had at any time of the day. And we all couldn't stop at just one. The pictures may look very rustic but the muffins tasted great! Mix them all together and store in the refrigerator and use as per the recipe needs. In another bowl, mix together all the wet ingredients except the cranberries. Now slowly add in the dry ingredients into the wet ingredients bowl and mix them thoroughly. Lastly fold in the cranberries. Divide the batter into 12 muffin cups. Its enough to almost fill them up. Bake them for at least 25 -30 mins. Test with a toothpick. It should come out clean. Enjoy for breakfast or as a snack! Note: The muffins didn't rise very much but tasted great anyways. Sweet & Savory Roasted Pumpkin Seeds! Celebrating Dasara/Dussehra with Pumpkin Kheer!